Active Voice: Dry Needling – An Option to Improve Muscle Strength and Flexibility and Prevent Muscular Injuries? 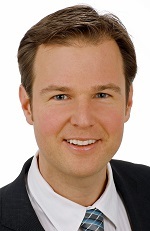 Florian Pfab, M.D., is a board-certified specialist in dermatology, sports medicine and acupuncture and holds the rank of professor at the Technische Universität in Munich, Germany. He is the medical director of the German Bundesliga soccer team FC Ingolstadt, which currently leads the German Bundesliga in statistics for least time-loss due to injuries (see www.fussballverletzungen.com). He also is a consulting physician for several other professional German and international sports teams. This commentary presents Dr. Pfab’s views on the topic of a research article which he and other colleagues had published in the February 2017 issue of Medicine and Science in Sports and Exercise®. Although muscle injuries are the most common reason for presentation to a sports medical specialist and the most common time-loss injury in professional sports, scientific evidence for prevention or treatment of muscle injuries is still scarce. Some of the risk factors for muscle injuries — tightness of muscles, previous muscle injury, strength imbalances and reduced flexibility — are linked to myofascial trigger points (TrPs). TrPs are hyperirritable points located within a taut band of skeletal muscle or fascia. A method for targeting myofascial trigger points, which has been effective in managing myofascial pain syndromes, is called dry needling. Dry needling is an intervention that involves the insertion of an acupuncture needle into a myofascial trigger point which elicits a local twitch response (more on TrPs). In our randomized controlled trial involving 30 elite youth soccer players, as published in the February 2017 issue of MSSE, we investigated the effects of four weekly sessions of dry needling plus water/pressure/massage on thigh muscle force and range of motion for hip flexion. The experimental group receiving placebo-LASER plus water/pressure/massage, a second group received placebo laser with water/pressure/massage and the third group had no intervention. Data was collected at baseline, treatment end and at a four-week follow-up. A five-month muscle injury follow-up also was performed. The dry needling group showed a significant improvement in muscular endurance and hip flexion range-of-motion that persisted at the four-week follow-up. Also, compared to placebo, the experimental group showed significant improvement in hip flexion that persisted at four weeks post-treatment. Finally, compared to non-intervention control, the dry needling treatment group showed significantly higher maximum knee extensor forces when tested at four weeks post-treatment. Thus, dry needling can be an interesting and promising option for professional athletes who are aiming to improve muscular flexibility and muscular force. Evidence-based strategies for preventing muscle injuries include injury prevention exercise programs, especially if these include the Nordic hamstring exercise. In addition to our study’s findings, further options aimed at addressing injury risk factors include ice baths and wearing compression garments.